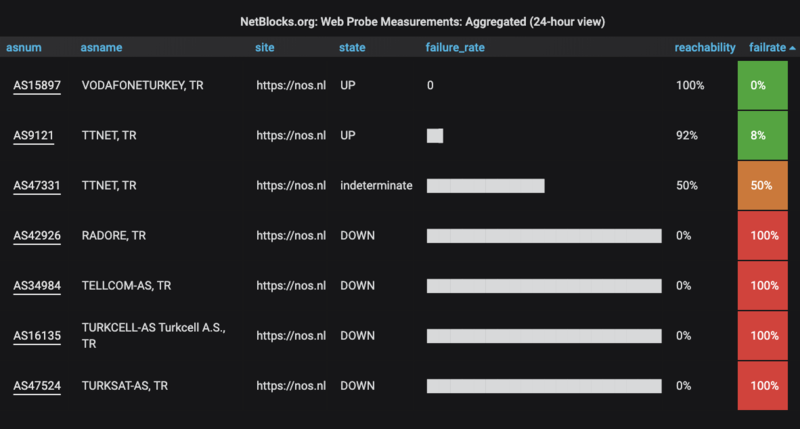 The website of Dutch public broadcaster NOS has been partially unblocked in Turkey almost 27 months after access was restricted during a diplomatic crisis, according network measurement data reviewed by Turkey Blocks. The NOS website is now available via two of six Turkish internet service providers — Vodafone and TTNet, covering approximately half the country’s internet users — according to internet reachability and performance data sourced from the NetBlocks global internet observatory. The technical findings come days after NOS reported the Ministry of Foreign Affairs’ intention to end the blockade amid normalization of relationships between the Netherlands and Turkey. The blocking of NOS was identified in 2016 shortly after the imposition of a national broadcast ban and social media shutdown following the assassination of Russian ambassador Andrei Karlov in Ankara. 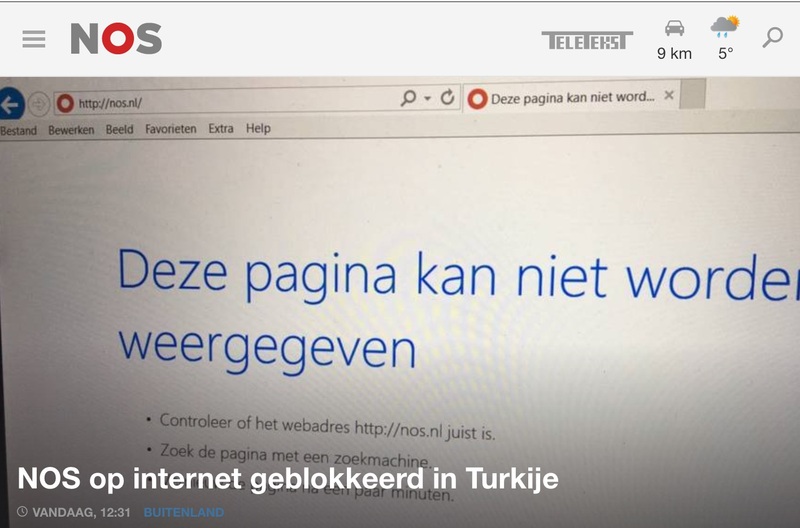 Technical analysis found that Turkish providers had each diverted the NOS.nl website to either a blockpage, a blank page or the ownership query page of Turkey’s Association of Access Providers (ESB). The block was been implemented at the ISP level. Citing sources in Ankara NOS reported that the block was related to a video of the ambassador’s killing published on its news website that went “viral” in the aftermath of the attack. The broadcaster argued at the time that it carried limited responsibility because the video was sourced from Turkish media organisations and subsequently published by many others. Through 2018 and the first quarter of 2019 Turkey has seen a respite in the rate of content blocking, although many popular platforms including the Wikipedia online encyclopedia, digital security resources and other media remain unavailable.